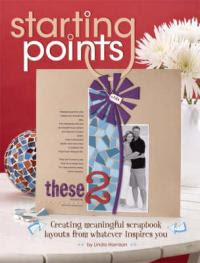 Starting Points by Linda Harrison is certainly a book that will inspire you regardless of your usual starting point. Today, two lucky readers will have the opportunity to discover all the wonderful insights it holds for FREE! Congratulations, ladies! Watch your inbox for an email from me with more details on how to claim your prize. From the looks of my little poll, it seems that it is all about the photos for a vast majority of scrappers out there. 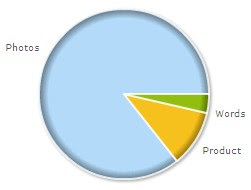 Although I am sure we are all inspired by words, products and many other things from time to time, as of now, the poll states that over 85% start with photos. If you haven't already, feel free to submit your vote. Stay tuned...another review and giveaway coming soon...and that book will be a great tool to getting better results with the photos we all seem to love so much!